School of Aeronautical Science and Engineering, Beihang University, Beijing 100191, China. Due to the problems of potential corrosion and thermal expansion differences between traditional metal connecting pieces and carbon fiber poles, it is difficult for them to meet the operating requirements of truss structures in the environment of stratosphere. 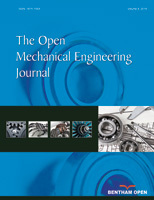 Based on the large scale composite space truss structure of stratosphere aerostats, the carbon fiber flange connection joints were studied in the present paper. Adopting the three-dimensional full fivedirectional braiding technology, Toray T700S – 12K carbon fiber is used as the raw material to manufacture flange joint preform, and to manufacture flange forming by RTM(resin transfer molding) process. As demonstrated by tensile and bending tests, the composite flange joints have better mechanical properties than flanges manufactured by aviation aluminum alloy, and meet requirements of stratosphere truss structure connecting pieces. In conjunction with the results of finite element analysis, mechanical properties can be further enhanced by the improvements of the braiding process, the forming process and the physical dimension.